Astrid’s mother noticed that when she walked into the computer room her daughter immediately changed websites. Sergio and his adolescent friends were giggling in his bedroom as they played with his computer. Shaunti, age ten, was in the computer room unattended as her parents watched two hours of their favorite television shows in another room. The scenarios above call for active monitoring of children’s online behavior. The key word in the previous sentence is ACTIVE. “Oh, I monitor my kids’ internet behavior,” you might be thinking. Really? Here are the facts from www.netalert.net.au. 71% of parents believe their children use the internet for research, while only 23% of teens say they research online. 43% of teenage boys have downloaded files they do not want their parents to know about. 50% of parents believe they always know what sites their children visit. 24% of teens claim that their parents are never around when they are online. Only 6% of parents claimed they were never around. The older the children, the less likely it is that their parents will join them online. The following do’s and don’ts about monitoring children’s online behavior will help safeguard your children by helping them protect their privacy, handle commercial material, build positive relationships, and maintain trust within the family. DO set limits on internet access. You can do this by designating a certain time of the day for internet use or by setting a time limit with the child choosing when to spend that time. DON’T ever put a computer in a child’s bedroom. This is tantamount to putting the fox in the henhouse with the chickens. Keep this important piece of equipment in a public area of your home. The family room or living room are appropriate choices. DO manage by walking into or through the room where your child is using the computer. Proximity behavior on your part increases his or her belief that you could walk by at any moment. This is not a threat. It is a behavior appropriate to protecting the health and safety of your children, which is your most important job. DO set guidelines that are age appropriate. Yes, you can set your computer at age-level settings that allow for different levels of access at different ages. While this is important, it is and not enough guidance. DON’T allow the computer to decide what is appropriate for your child and your family. You know your child better than anyone. Set limits and usage requirements that fit with your family values and the demonstrated level of responsibility shown by your child. DO debrief. Ask about your children’s online experience. Discuss new sites they are finding. Listen to why they like the games they enjoy. Hear what frustrates them. DO use the Dynamic Discipline Equation, Responsibility Equals Opportunity. If your children’s level of responsibility in using the internet decreases, so does their opportunity to use it. If the degree of responsibility remains the same, so does the opportunity. DON’T dismiss your children’s complaints that “Everybody else gets to do it,” or “I need to do it for school.” Listen to their concern. Although they may not get what they want, it’s important that they feel heard. DO model appropriate internet use yourself. There is a strong possibility that your children know as much or more about surfing the web as you do. They can likely find where you have been. DON’T fall asleep, work in the yard for two hours, or go to a movie while your children have access to the computer if they have demonstrated the need for tight supervision. Take your role of supervisor seriously. DO discuss at the dinner table or in the car what you have read or learned about internet bullying, sexting, predators, gossip and similar issues. Take the initiative before problems develop and keep communication flowing. DO teach your children that not everything they read on the internet is true. The main goal of supervision is to make the supervision unnecessary. 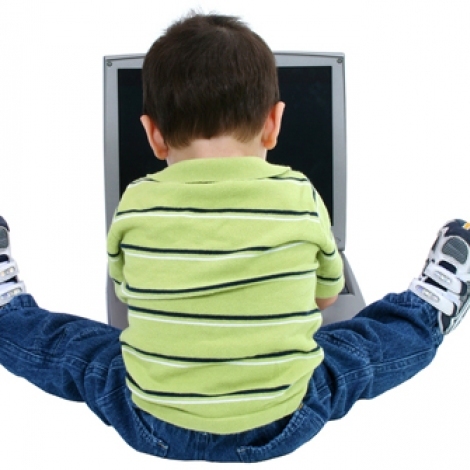 Your job here is to make yourself dispensable by helping your children learn to use the internet in a responsible way. They will need this level of responsibility when they are away from home. Internet access is now available on many cell phones, iPods, and library and school computers. As you build trust between you and your children concerning internet use, you will be building their trustworthiness and your peace of mind. Pampa GauchoThe Impending Death of a GrandparentHungry Children Miss Out on Nutrients During Summer RecessHey, Lucy, I'm Home!